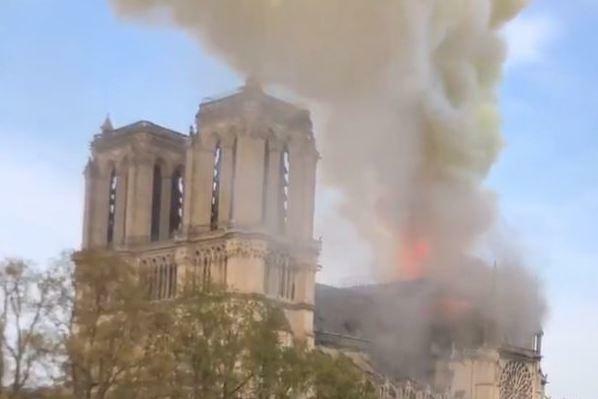 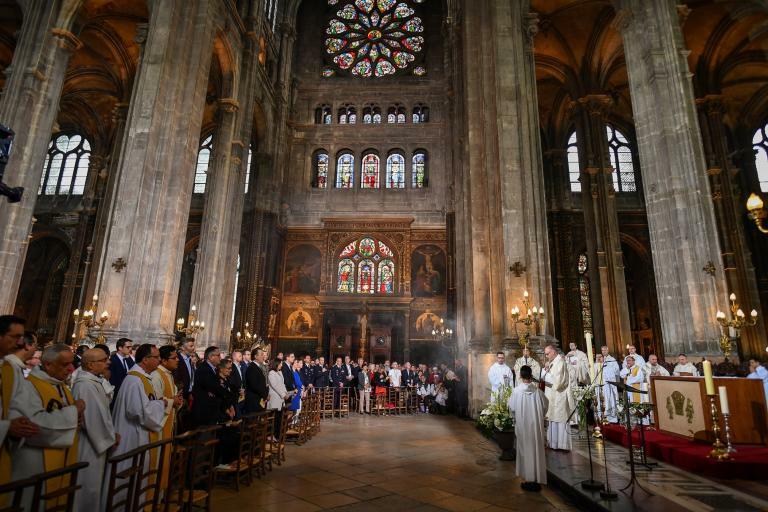 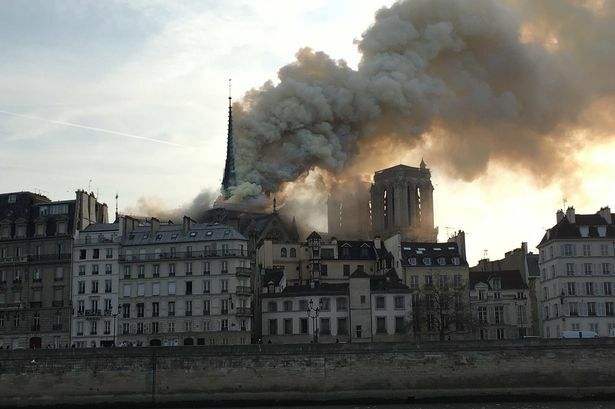 A fire has broken out at the historic Notre Dame cathedral in Paris.Officials said the fire may be linked to renovation work, French media reported. 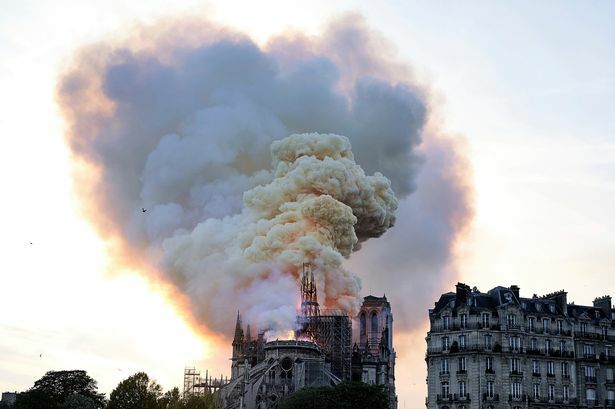 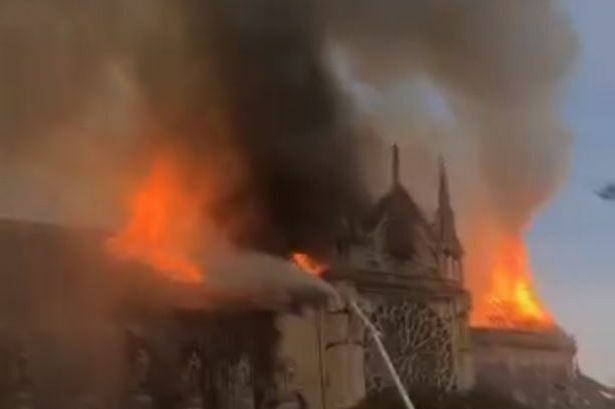 Photos and videos on social media show the roof of the 850-year-old Gothic building covered in flames, issuing a plume of smoke above the city. 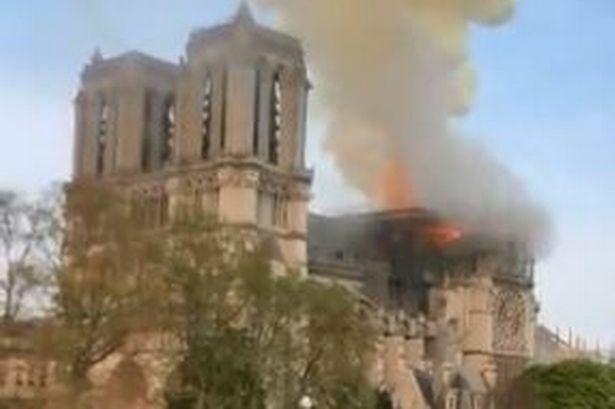 The Paris fire brigade can be seen in videos dousing the blaze with water. 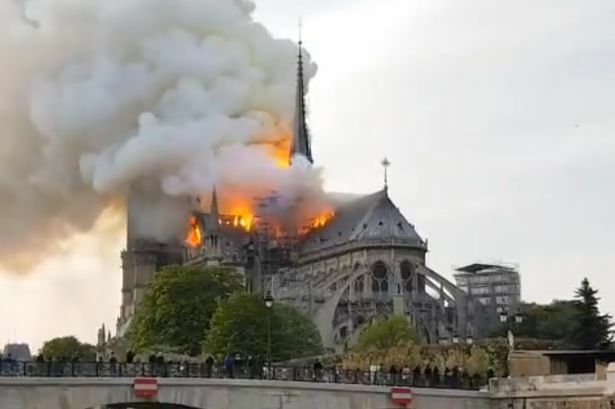 York Press - 18:59 PM GMT April 15, 2019 ● What caused the Notre Dame fire in Paris, was anyone hurt and how much has been raised for the cathedral to be restored?